(Recto, print) lower center, below image, in black ink: "Close No. 29 Bridgegate, 1897." 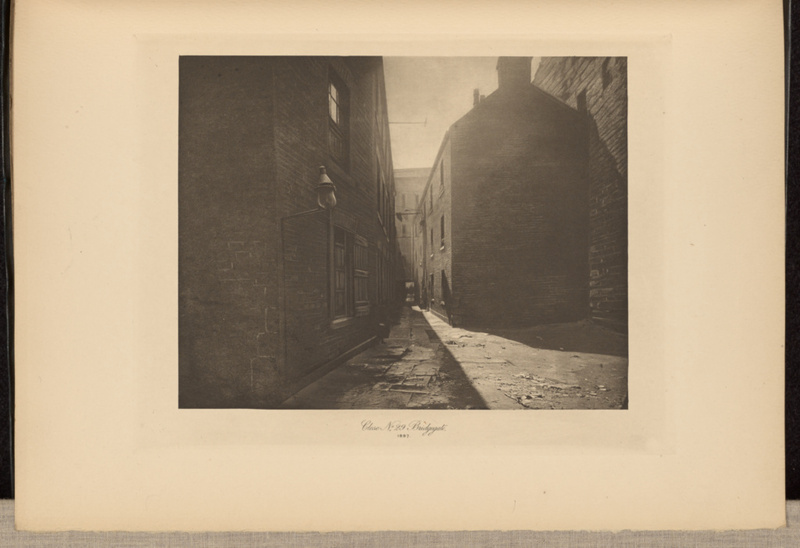 View of a narrow, empty close. A small amount of light shines on the ground, while the majority of the passageway remains dark.